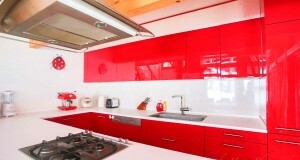 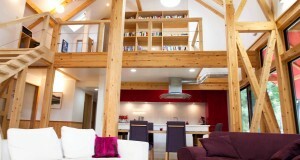 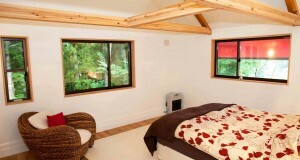 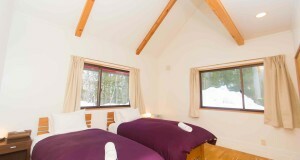 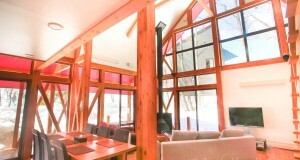 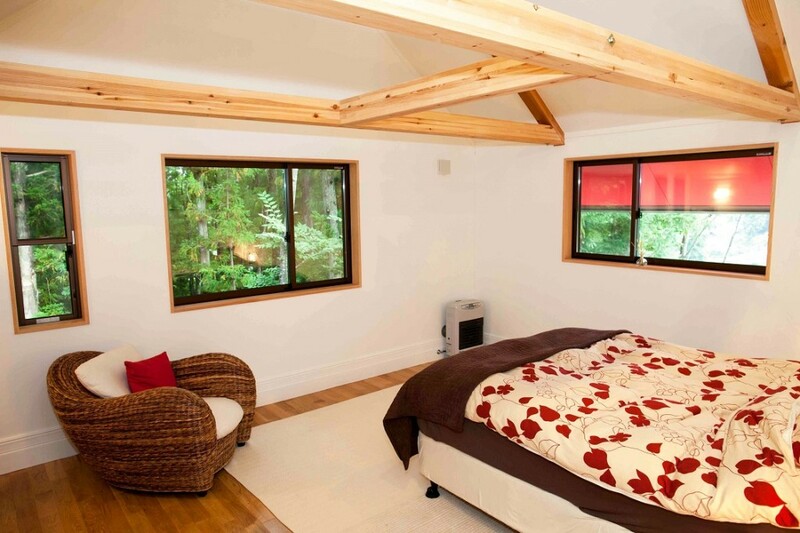 As with Morino Lodge, our mission with the chalets is to ensure your Hakuba experience is the best one possible. 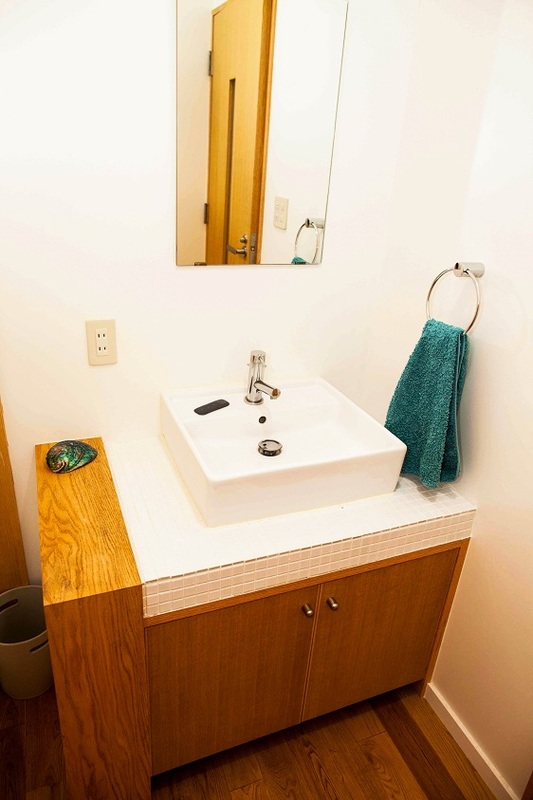 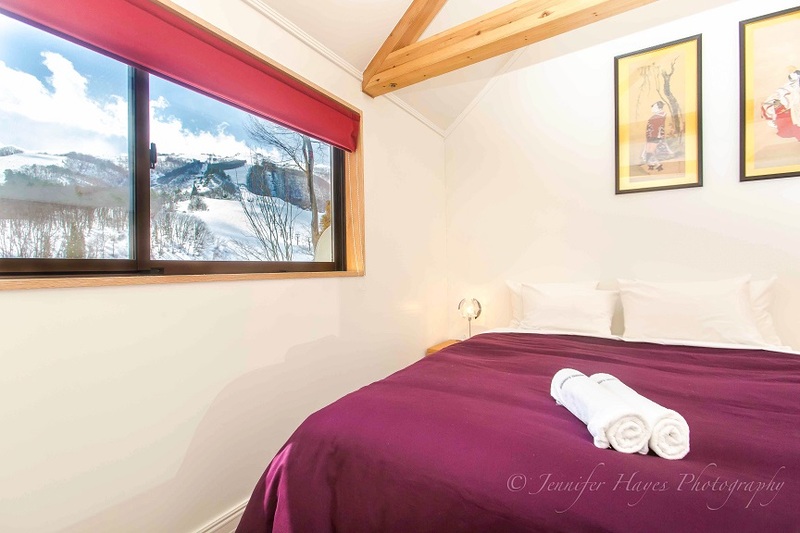 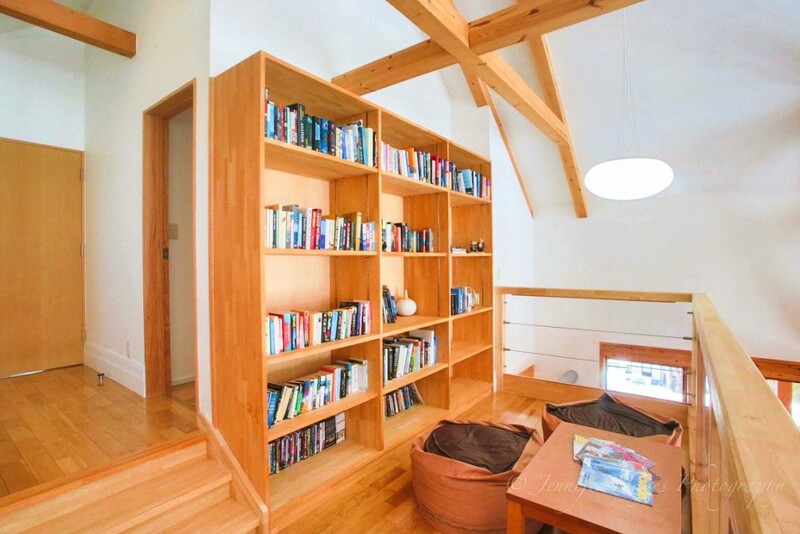 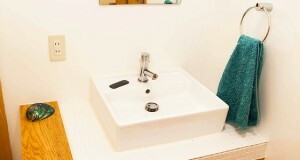 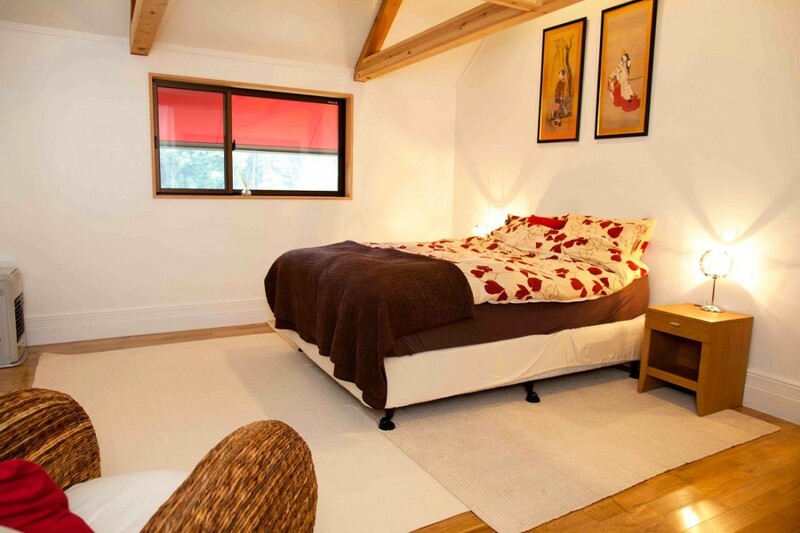 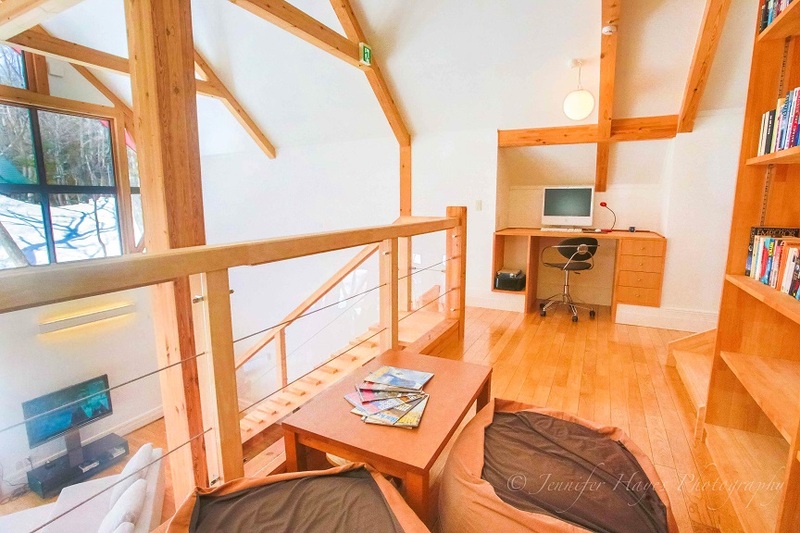 Our fleet of chalets are amongst the crème de la crème of self-contained options in Hakuba, our service is outstanding & our local knowledge of all things Hakuba is second to none, helping you make all the right choices throughout your stay. 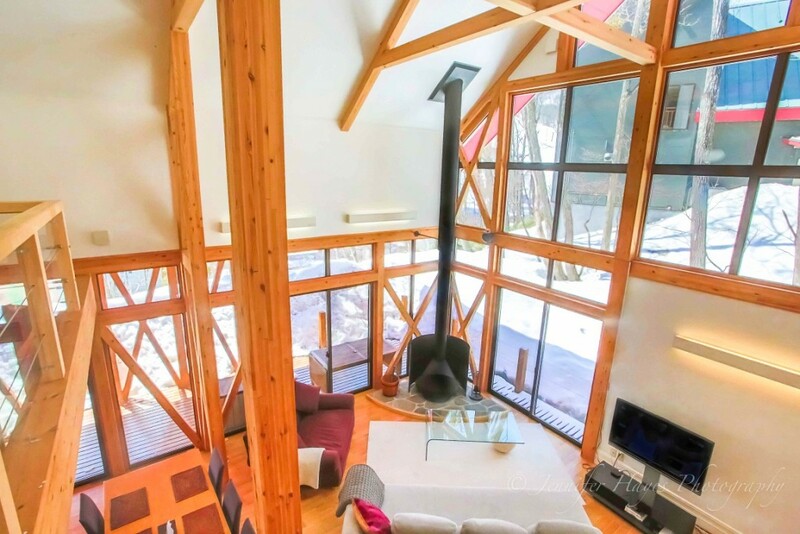 And our Morino Chalet Concierge Service means you won`t have any problems getting into the best restaurants or getting to the best snow. 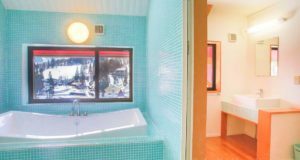 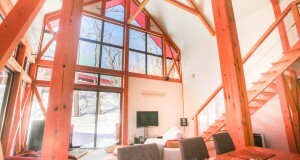 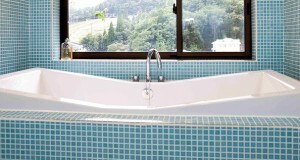 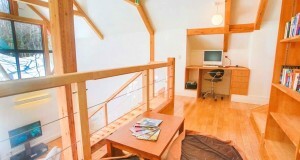 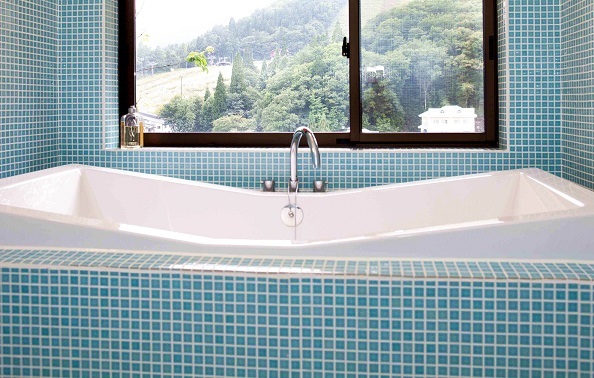 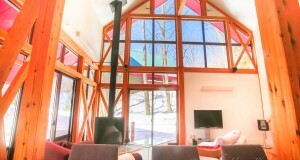 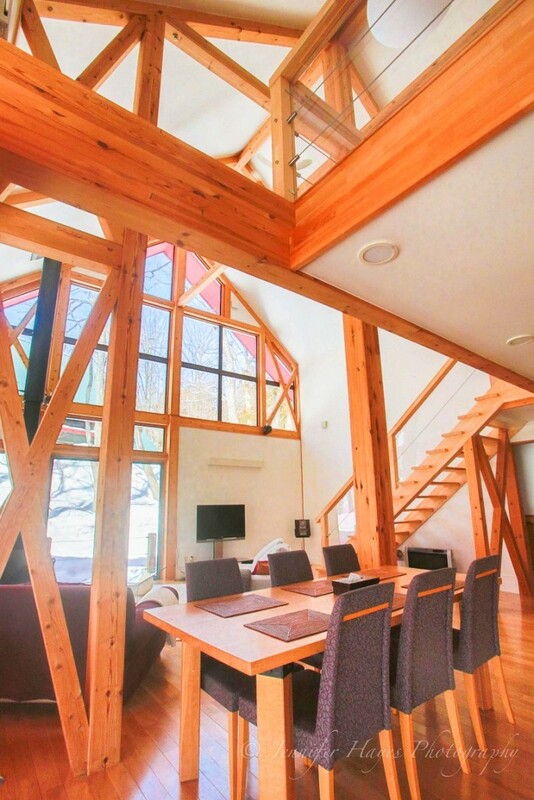 We`re very pleased to offer the Alps View Chalet, at the top end of our elite range of self-contained rental homes in Hakuba Japan. 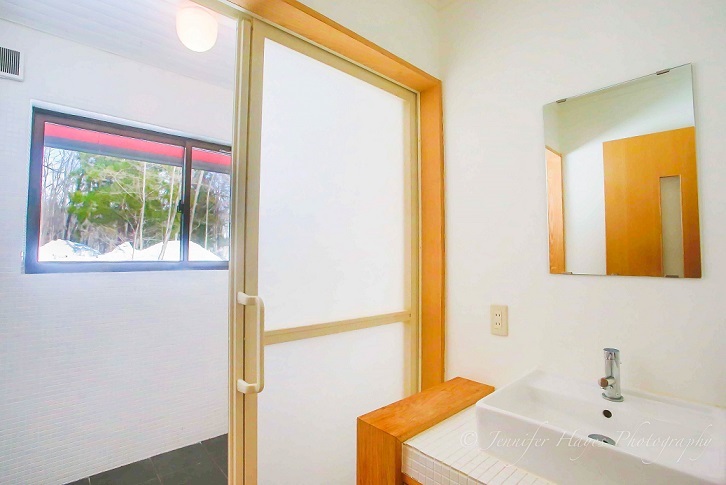 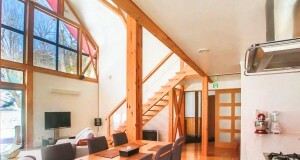 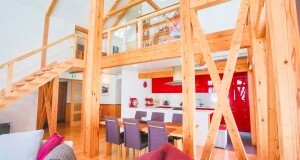 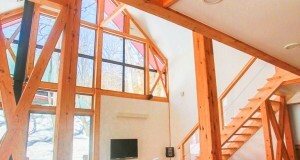 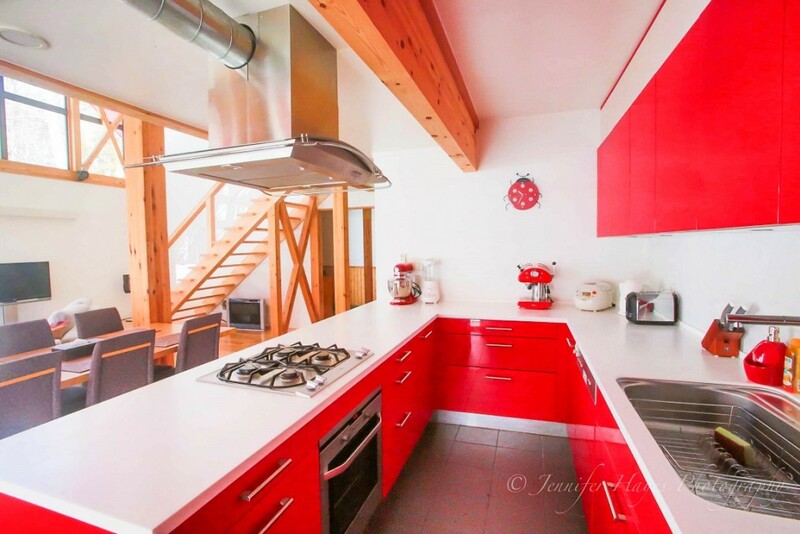 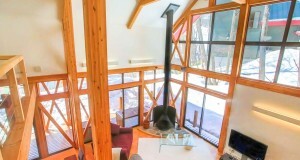 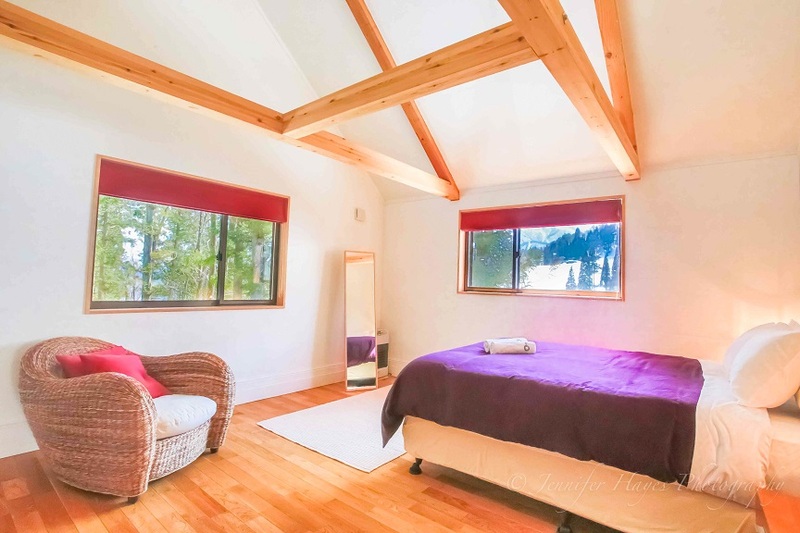 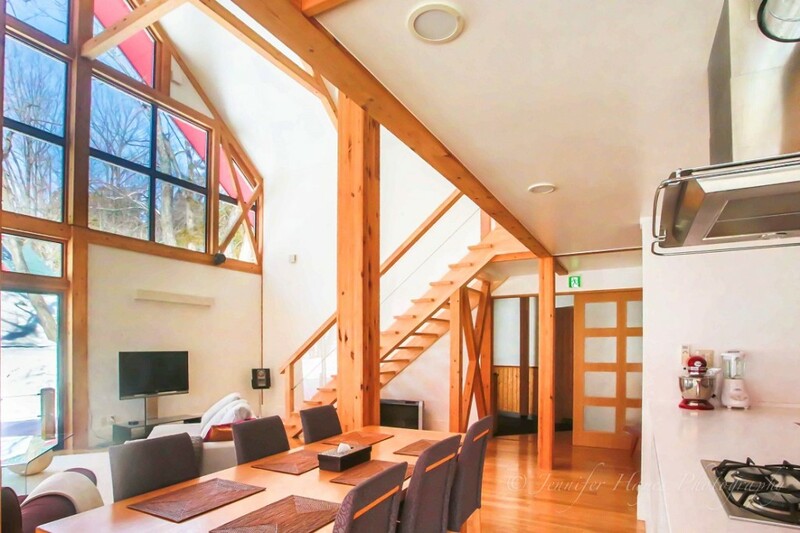 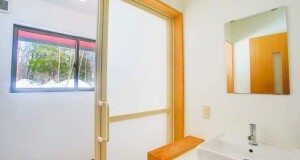 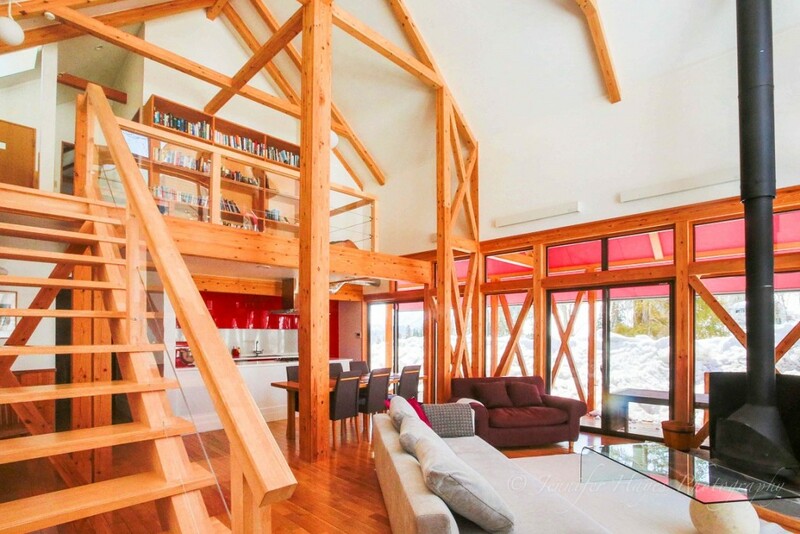 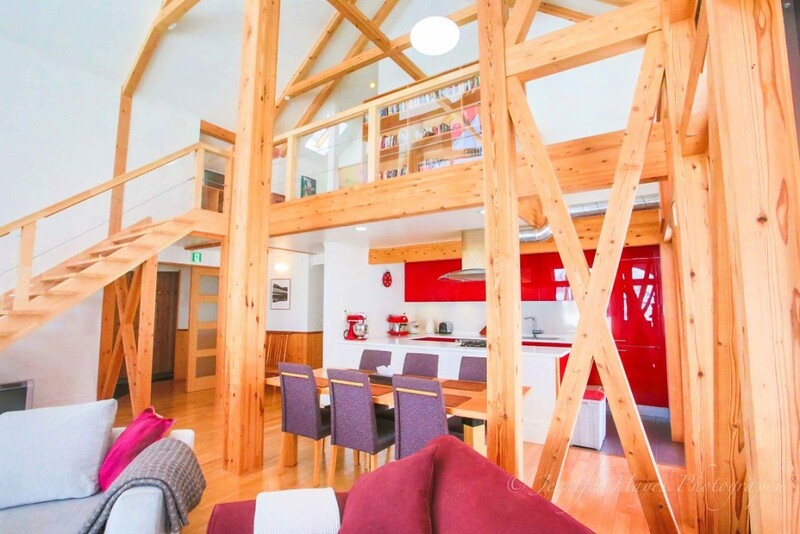 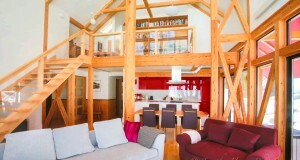 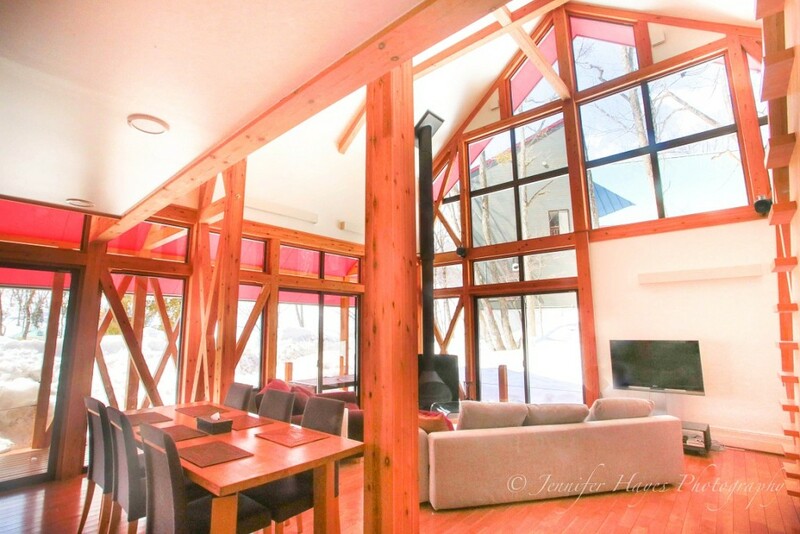 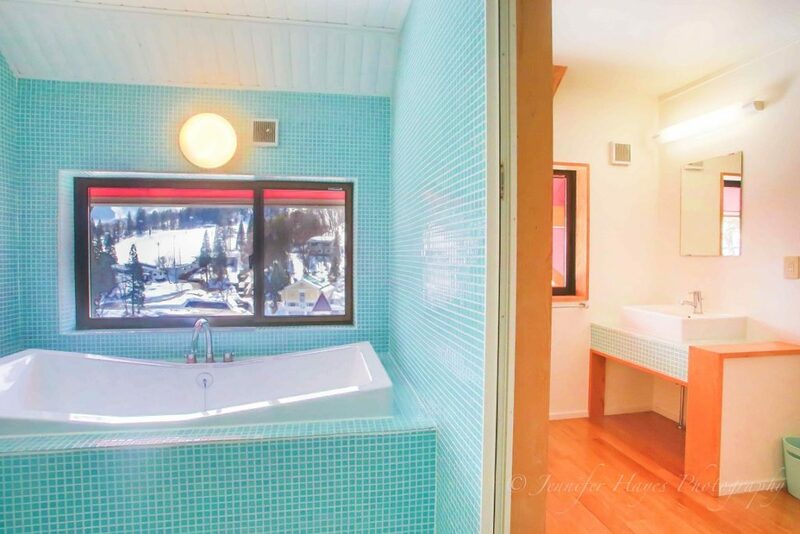 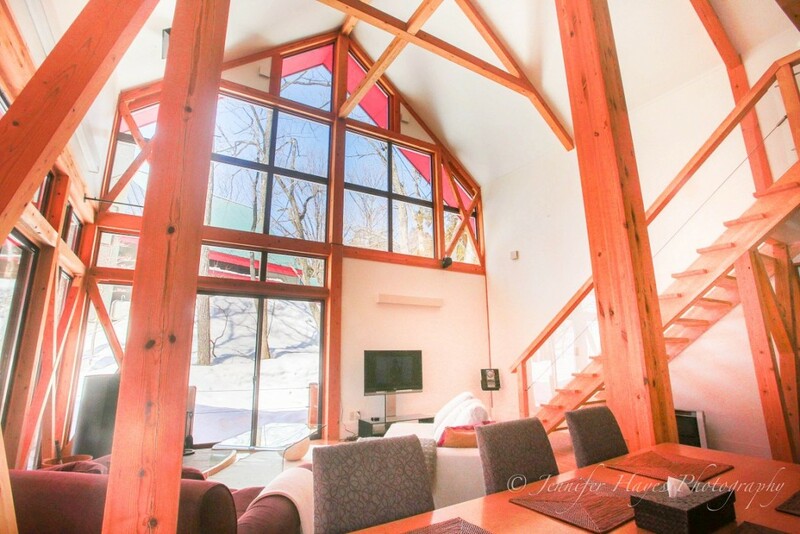 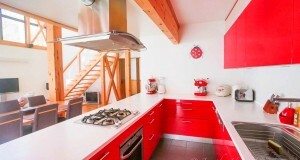 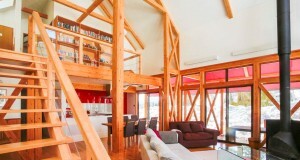 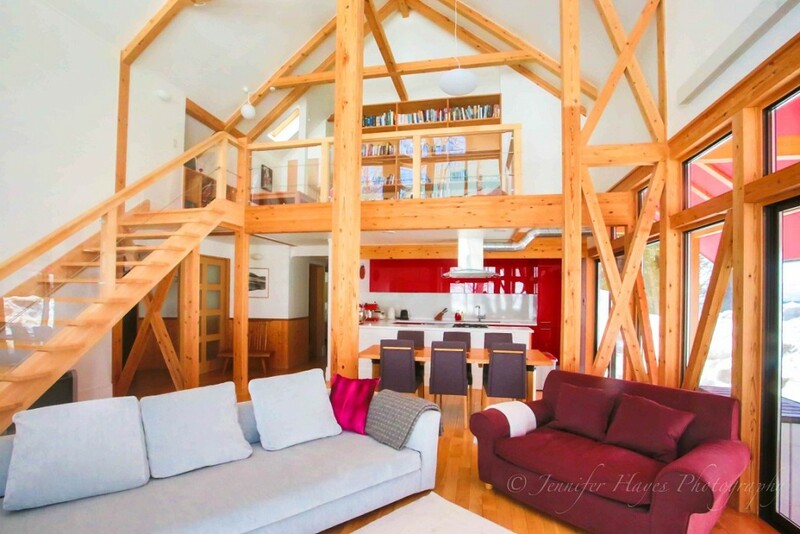 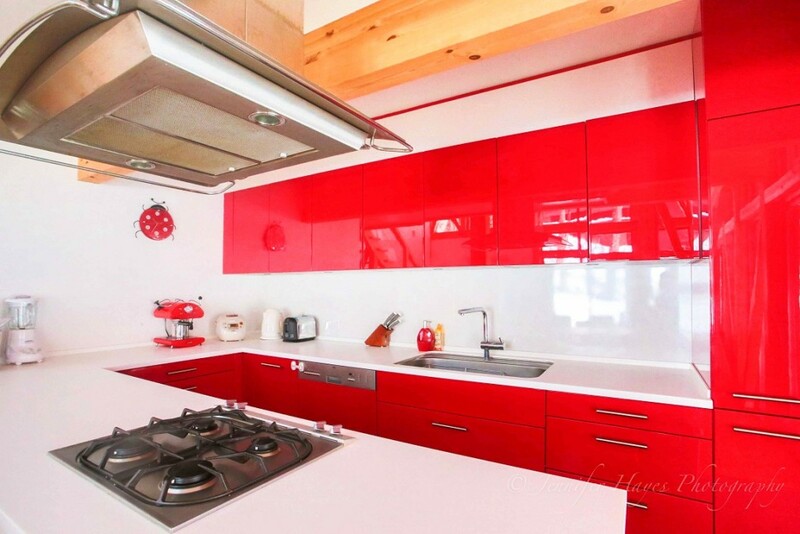 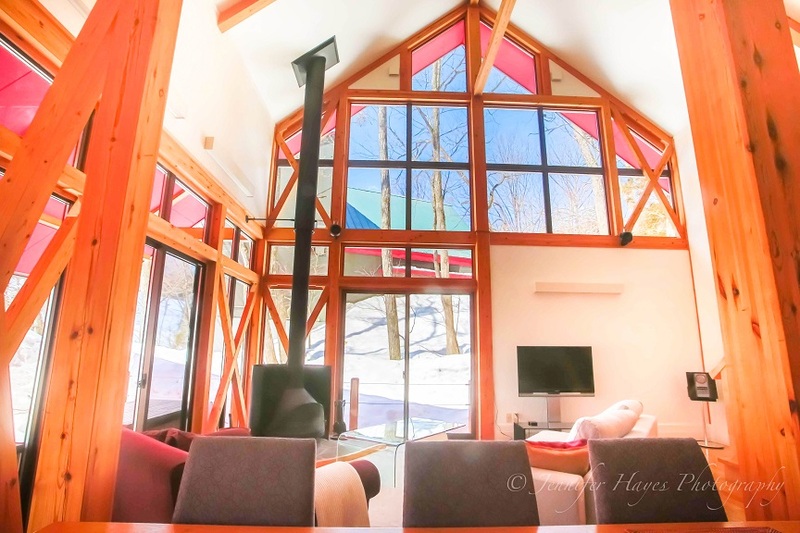 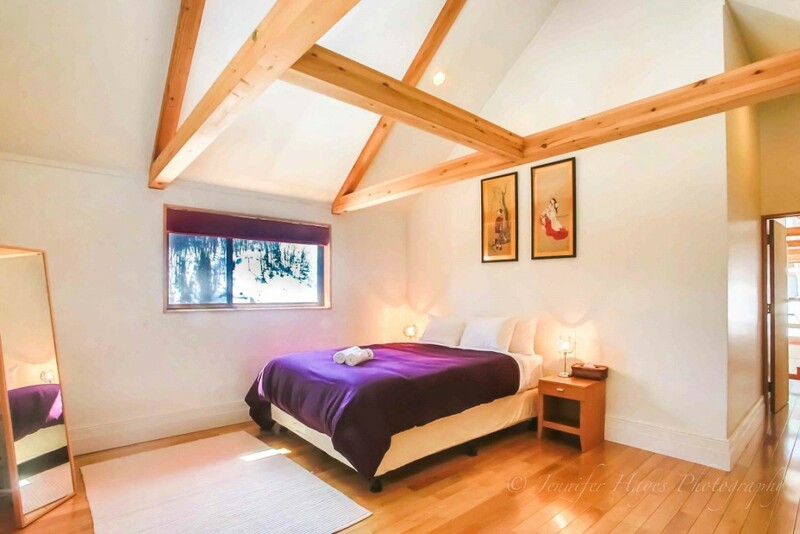 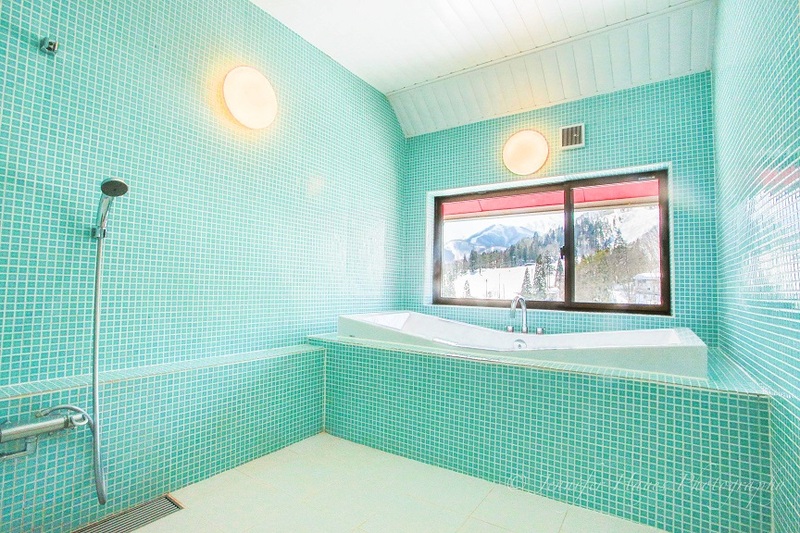 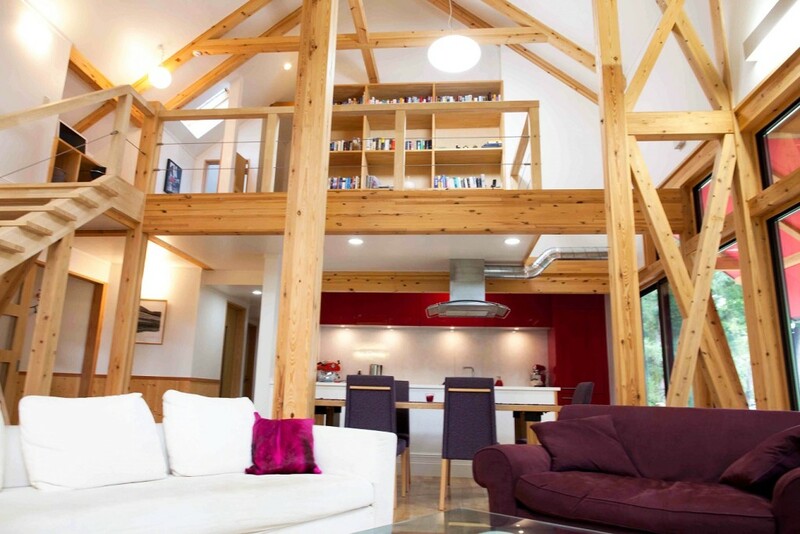 With 4 bedrooms + loft, 2 bathrooms, and a spacious open-plan kitchen and lounge room with panoramic views of the Hakuba Three Peaks, this is one of the biggest and most luxurious of self-catering homes in Hakuba. 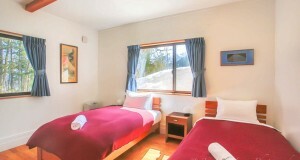 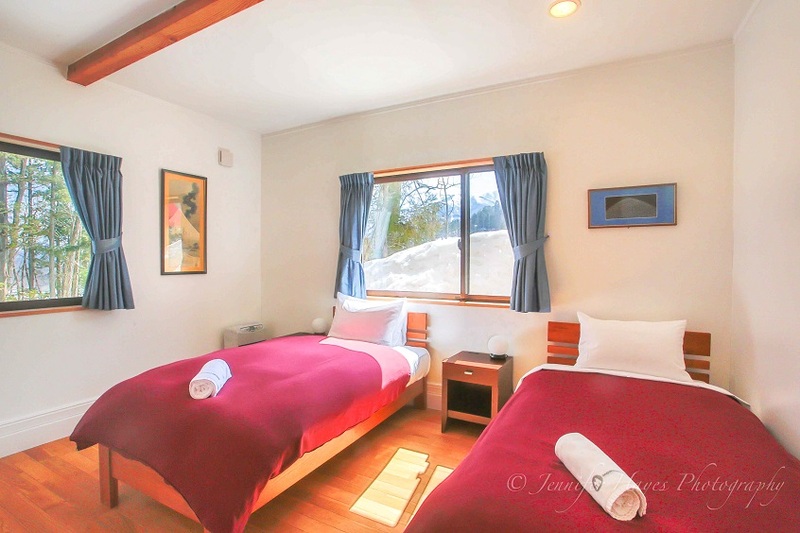 It`s also the closest of all our Hakuba accommodations to the lifts as it`s perched on the bluff less than 100 meters from the Happo gondola. 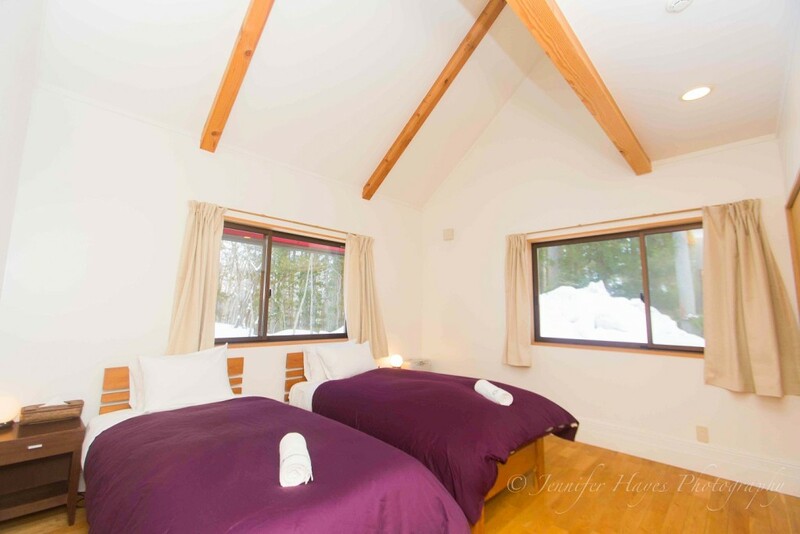 And Morino Lodge is just over 100 meters in the other direction which means our staff are super close and ready to assist you with all your needs. 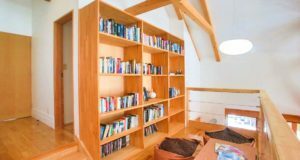 We`ll help you get sorted with rentals, discount lift-tickets, lessons, tours, restaurants, trips to the grocery store, pick ups and drop offs from the airport, or whatever you need during your stay! 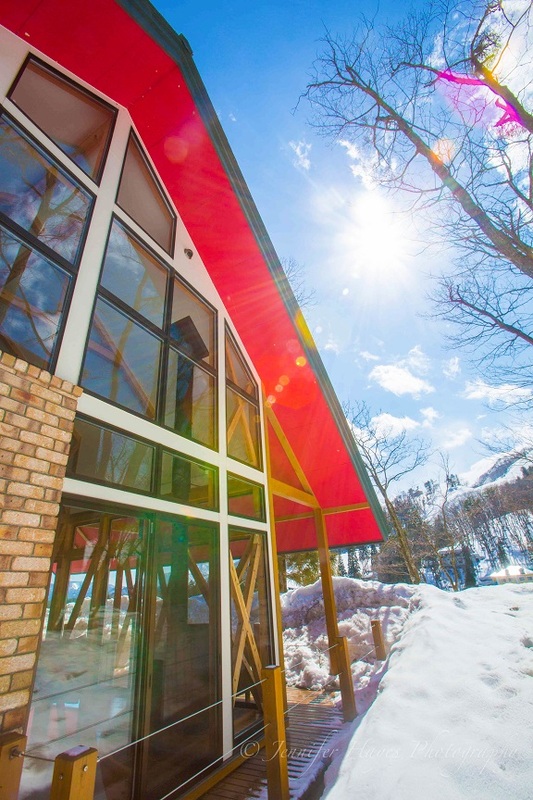 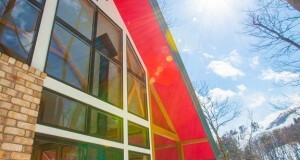 You`re also within a short walk to the free shuttle bus hub with frequent shuttles to all the other major Hakuba resorts and there are plenty of restaurants, onsens and nightlife options nearby.